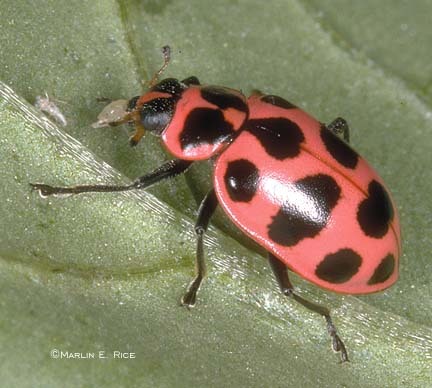 Coleomegilla maculata, a lady beetle. This is a copyrighted image. All rights reserved. Please see our usage policy page for usage information. Iowa State University Entomology Department. Last modified 7/25/03 by John VanDyk.